At Chaitanya Group, we are focused on shaping spaces that you can be proud of living and working in. With over three decades of experience in the field of design and construction of residential and commercial spaces, we have contributed a great deal to the rapid growth of real estate in Mumbai, the financial capital of India. Our state of the art construction technology and designs have transformed Mumbai’s skyline into incredibly stylist and futuristic living areas. We are a privately funded group and have successfully executed several medium and large projects on time over the past couple of decades. Our professional expertise and an out-of-the-box approach have helped us emerge as one amongst the leading reality developers in Mumbai and the western region. 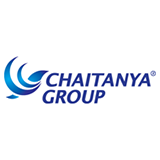 Chaitanya Group, head-quartered in Mumbai is now an established business group of over 350 employees.